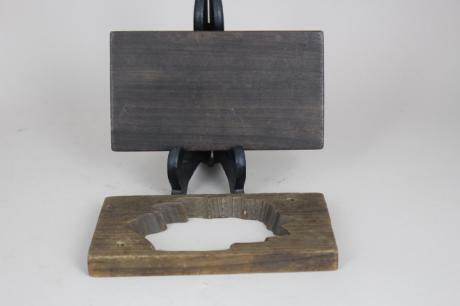 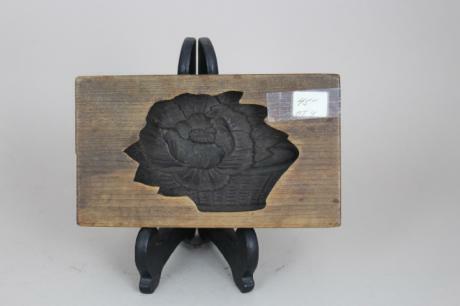 Description: Japanese early 20th century wooden mold for rice cakes. 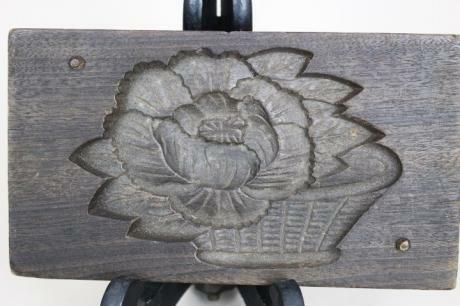 This mold is in the shape of peony blossom in basket. 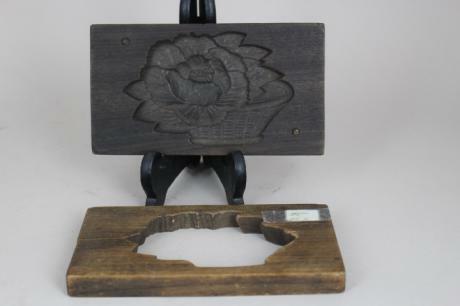 The mold's case measures 6 3/4" wide by 3 7/8" tall by 1 5/8" deep.